The campus of Central Connecticut State University in New Britain. The alleged improper behavior was uncovered by a student newspaper, The Recorder. Ruth Bruno, who wrote the story, published it earlier this week, but started hearing from alleged victims in November. “At some point, they did come forward and they feel that the university hasn’t appropriately responded to their allegations,” Bruno said. One student told Bruno that she filed a report against Perlstein shortly after an incident in 2004, when she said the professor made unwanted advances in a nearby park. Bruno said two others also made complaints, but she was told by the university’s administration that they have nothing official on record. “Human resources has told me several times that they have no official reports of sexual harassment and misconduct on Joshua Perlstein,” Bruno said. The theatre department, where professor Joshua Perlstein teaches, is located inside Maloney Hall at Central Connecticut State University. 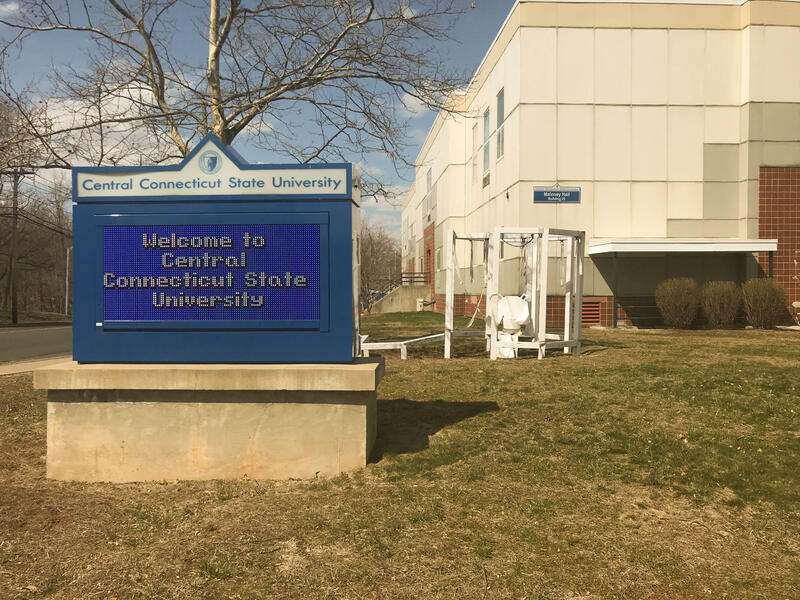 A CCSU spokesperson told Connecticut Public Radio the school can’t confirm or deny if that was the case but the university will look into it. Perlstein started teaching at CCSU in 1992. Bruno said the first incident of alleged abuse came six years later. 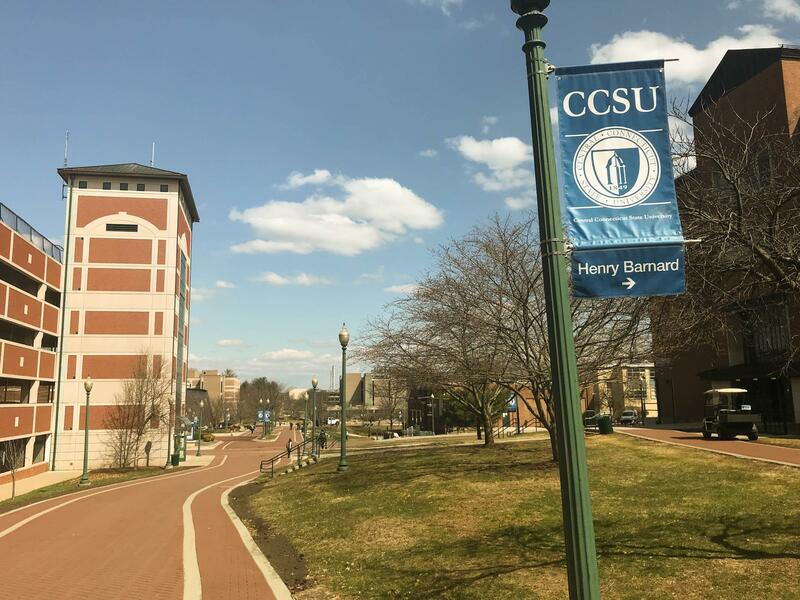 In a statement, CCSU President Zulma Toro said that the school has hired a third party agency to “fully and aggressively investigate” the allegations. “Getting to the bottom of how reports of alleged sexual misconduct were handled in the past and setting a new standard for their handling in the future is of the utmost importance to me – as the leader of this University and, quite frankly, as a woman in a male dominated field who has experienced the intended and unintended effects of sexual misconduct,” Toro said. 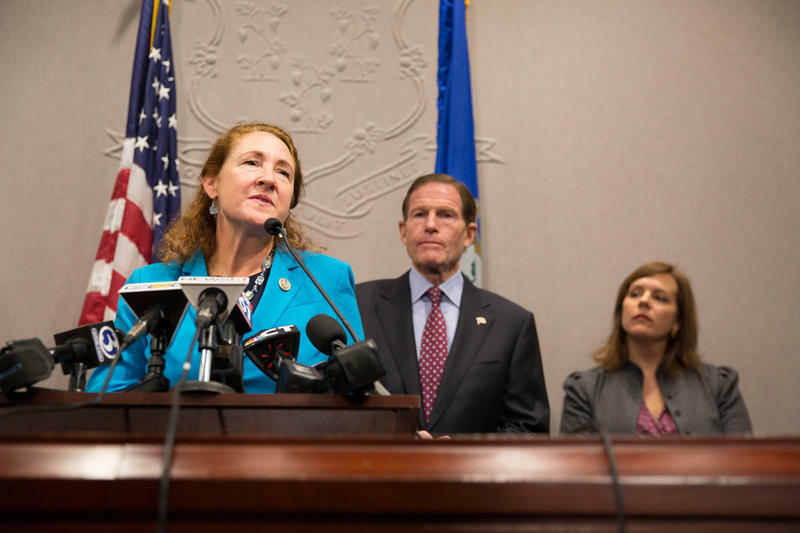 Perlstein told Connecticut Public Radio in an email that the university is addressing the issue and he’ll cooperate with their investigation.